Over the years most British coins have picked up colloquial names; nicknames such as quids, bobs and tanners. Some of these terms are so old that their etymology is no longer clear, but here are a few explanations of the more famous names. We know that the word Quid has been in English use since at least 1661. 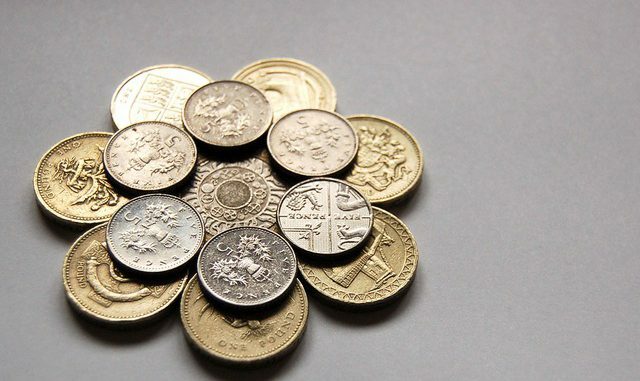 It is taken as meaning one pound sterling but over the years would have applied to a number of monetary items: the Guinea, the Sovereign, the pound note and now the pound coin. The Sovereign was the original pound coin and the Guinea was also one pound (although later became better known as one pound and one shilling). Where the name ‘quid’ derives from is harder to ascertain. The most likely source is from the Latin phrase Quid pro quo which means “something for something” or “this for that”. The Pound Sterling is the oldest currency that has been in continuous use. The word Sterling is another very old term that has uncertain origins. One theory is that it was derived from a silver Saxon coin called a sterling. There were 240 sterlings in one pound (weight) of silver. Another idea is that the coins were made from Easterling Silver from Germany, a silver that was 92.5% pure. Another is that the name came from Norman silver pennies which had a star printed on them; the old English name for a little star was steorling. No-one knows for sure. The Shilling is yet another coin with a long history. The English Shilling came in around 1550, deriving from the Testoon. After the Acts of the Union in 1707 it became the British Shilling. The word Shilling has a fascinating history, although again it’s etymology is not fully agreed upon. Many believe it comes from the Anglo-Saxon scilling or scylling meaning division, a word that can also be traced to Old Norse. Alternatively, if you remember that pounds-shillings-pence were written as ‘Lsd’, this stood for Libra, solidus and denarius. Solidus was also known as scillinga and it is easy to see shilling derived from that. It could be that the Anglo-Saxon words derived from the Roman root as well. The shilling is (or was) a coin in many countries. Before decimalisation the shilling was almost always referred to colloquially as a Bob. In his Slang Dictionary in 1864, John Camden Hotten says that this comes from bobstick and suggested a link to Sir Robert Walpole. Walpole was Prime Minister 1721-1742 and was Chancellor of the Exchequer before that. Walpole reduced the Land tax from 4 shillings to three, then two and finally one shilling, which would have been quite popular at the time. There’s many other theories about where ‘Bob’ came from but we’ll never know for sure. This is one term we do know about! The name comes from a gold coin minted in Florence, Italy in 1252. The coin was the fiorino d’oro. There was a lot of trade around Europe in the 13th century and traders needed a trade coin which could be used in many countries. Without any monetary agreement this coin had to be an interchangeable value and they achieved that by using gold coins. 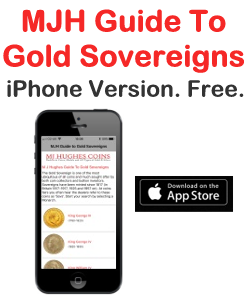 The Italian Gold Florin became the dominant coin for trading in Western Europe. It was copied as the Dutch Gilder, Rheingulden and Reichsguilden. The continental florin weighed around 3.5g. In 1344, Edward III decided to produce a coin for England which could also be used in Europe and issued the Florin or Double Leopard. This weighed 6.998 g and was worth 6 shillings. The coins were underweight for their value and the idea lasted only a few month. They were melted down to make gold nobles. Only three Edward III Florins are know to exist; two are in the British Museum, the other, found by a metal detectorist, sold for £460,000 in 2006. It’s probably Britain’s most expensive coin and would be worth about £7 million today. The British Florin was issued as a silver 2 shilling coin in 1849 and ran until decimalisation when it became the ten pence coin. Sixpences (half a shilling) have been minted since 1551 and virtually continuously until decimalisation. They were very often referred to as a Tanner. The nickname is hardly likely to be anything to do the tanning animal hides, so the main contender for this term is John Sigismund Tanner (1705-1775) who was Chief Engraver of the Royal Mint during the reign of George II and was the designer of a sixpence. The only alternative may be the word derived from a Romany word tawno, meaning small thing. A long time ago a sixpence was also know as a Bender. When it was a thin, silver coin it could actually be bent it with bare hands. You could leave teeth marks in it too! Sixpence was a lot of money in Victorian times so you could buy enough beer to get drunk with that, which some say led to the expression Going on a bender. Many will still remember the 12-sided brass threepenny bit, but before 1947 the threepence was a small silver coin. The threepence dates back to around 1550 but was not continuously minted. The silver threepence was nicknamed a Joey. Originally a Joey was a groat (4 pence) but when that went out of circulation in 1855 the silver 3 pence inherited the name. 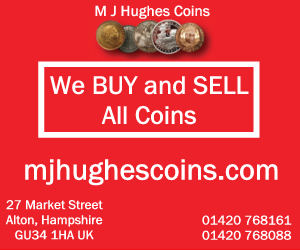 The name came about due the reintroduction of 4 pence coins in the 1830’s by the politician Joseph Hume, MP (1777-1855). Hume was upset with cabbies pretending they hadn’t got change for short cab rides (so to get a bigger tip) so he campaigned for the 4d Britannia Groat to be re-issued. It’s interesting to note that since decimalisation we have not introduced as many nicknames for the modern coinage. It may be that we have lost our affection to loose change. Back in the 1950’s a pocketful of coins would guarantee us a good night out; half a crown would get us a packet of cigarettes, a couple of pints of beer and a night at the cinema. These days we would need a wad of notes. Modern coins are often created with their own names, like Kew Gardens or Peter Rabbit; they don’t need nicknames. We still have quids, and sometimes you hear one pound coins called nuggets or sovs (due to the coin’s gold colour). As the introduction of the two-pound coin corresponded to a the cost of a pint of beer going to £2 for the first time it got a nickname as a beer token. These newer monikers will probably be short lived. In the future we may still have quids but maybe we will eventually be a cashless society, with plastic cards, contactless mobile payments and cryptocurrencies replacing real coins. We’re already on the way; most workers no longer get paid in coins of the realm, banks find cash expensive to handle and politicians debate that the cost of making a coin is more than the coin is worth. At least it will push up the price of our coin collections.